Business intelligence and analytics firm Tableau today announced that it has acquired ClearGraph, a service that lets you query and visualize large amounts of business date through natural language queries (think “this week’s transactions over $500”). Tableau expects to integrate this technology with its own products as it looks to make it easier for its users to use similar queries to visualize their data. Typically, you’d have to know SQL or a similar database query language to pull information out of most enterprise databases. Recent advances in natural language processing and machine learning now allow services like ClearGraph to understand more about the underlying database and then take these sentences and essentially translate them into database queries. Given that Microsoft’s Power BI and other competitors already offer this capability, it’s no surprise that Tableau is also looking into this (though Tableau argues that — unlike the likes of Microsoft — it can be a neutral party given that it has no investment in any particular cloud or on-premise technology outside of its own). Indeed, Tableau’s Chief Product Officer Francois Ajenstat tells me that the company actually started an internal project to build a conversational interface for its service. To build this, though, Tableau would have had to put a lot of infrastructure in place and ClearGraph had already done all of this work. ClearGraph was founded in 2014 (and it was previously called Argo and Arktos) and the company says that it currently has “dozens” of customers, including a number of large enterprises. While the company doesn’t disclose who its customers are (which is not unusual in the enterprise space), Ajenstat tells me that they include financial institutions, retailers and major internet companies. As Ajenstat noted, every company today struggles to make its data accessible to more of its employees, so it doesn’t come as a surprise that ClearGraph’s customers span a wide range of verticals. Existing ClearGraph customers won’t notice any immediate changes, but, over time, once it has integrated this new technology, Tableau will likely transition them to its own platform. Ajenstat also believes that this new technology will help his company reach a wider range of users. “Even though Tableau is top in its class for ease of use, it’s about expanding the number of users who can analyze data in the enterprise,” he told me. He also noted that while this next group of potential users may be casual users, their questions aren’t simple — and that’s where Tableau thinks ClearGraph’s natural language processing technology will help it succeed. 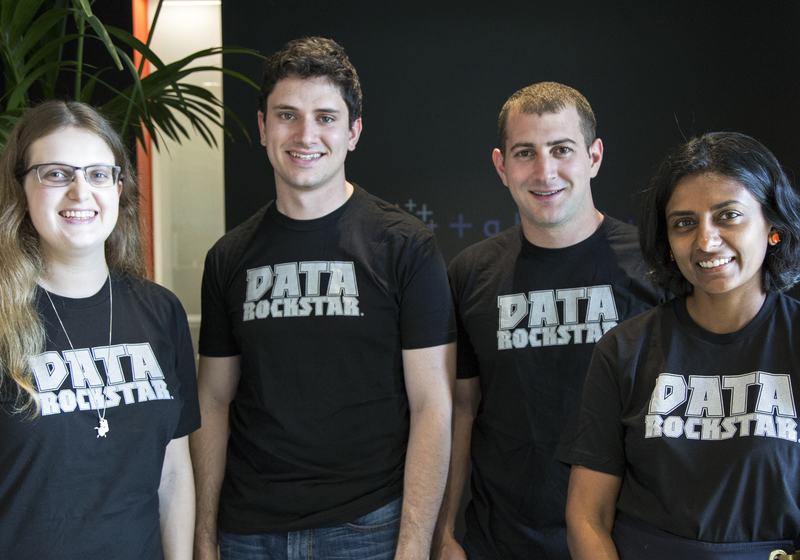 The ClearGraph team will join Tableau’s Palo Alto office and focus on integrating its technology with Tableau’s. The company declined to disclose the purchase price, but ClearGraph raised a total of $1.53 million from Accel Partners before the acquisition.